Welcome to Ptarmigan Village. We are a private community located on 52 forested acres of land on Big Mountain. Water and sewer are provided for and managed on site. We have a 210,000 gallon water tank fed by two wells located on the property. It serves the entire Village with water supply and we maintain a Waste Water Treatment Plant. Both of these services are a portion of your HOA dues. Please refer to the Amended Bylaws for additional information regarding governing and budget of Common and Limited Common areas throughout the Village. The amenities include an indoor pool, an outdoor pool, a hot tub and sauna. Elmer’s pond is a small pond we stock with fish every summer for the kiddos to practice their angler skills. There are hiking trails throughout the Village as well as two tennis/pickleball courts. Our owners also have private access to beachfront and dock on Whitefish Lake. Insurance requirements differ. The Association has a Master Policy with HUB Insurance, however, additional insurance for personal belongings and personal liability must be purchased separately. If you are considering using the condo for a rental, additional insurance is required with $1,000,000 liability and Ptarmigan Village as additional insured. We can recommend agencies/brokers familiar with the community and the requirements for your convenience. Please call the Village Office and inquire. Owners may choose to rent their condo and Ptarmigan offers a Rental Program that services those needs. We will manage the entire marketing, rental and cleaning process for you. We have a commercial laundry facility on site that services the linen program we provide, for a fee, with our cleaning service. We recommend perusing the information on the website. Then, schedule an appointment to meet with the Manger who will summarize the content of the documents and discuss the appropriate representation based on your needs. Specific fees and requirements are listed in the Rental Agreement and the Fee Schedule for owner-directed rentals as well. If you choose not to rent your condo you do not pay for the specified fees and services geared to the Rental Program. Additional information and specific documents related to the Rental Program are located below under Vacation Rental Property Management Company. We have different options for payment of your dues. There is an automatic transfer authorization form posted on the website if you choose that route. We will need your information to get you set up with a log-in for the owner portal on the website and to add you to our distribution list for communication purposes. Please contact the Village office and one of the staff members will assist you. We hold an annual general meeting in October we encourage owners to attend. The Board discusses budget and financials as well as progress on Common and Limited Common projects and members have an opportunity to add input on Village management. Election of future Board of Directors is conducted at the meeting. You may contact the Village Office for email addresses for any of the directors who can assist you with information and concerns. In addition, Jenifer Lytle is the Village General Manager who is on site daily Monday-Friday to assist you as well. Tanya Brower is a Licensed Property Manager and the Front Desk coordinator. She runs the rental and cleaning program for the Village and takes care of office administrative duties. We have a mail room in the office for owners where we receive all UPS and Fed-Ex packages. Megan Foley is our bookkeeper and is your go to contact for all HOA billing related questions and accounting functions. We employ a maintenance staff that handles all our snow removal, pool and hot tub, Whitefish lake access, water, wastewater, road, landscaping and general daily maintenance of condo units and common areas. Let us know of questions or concerns you have as you get acquainted with the Village. We know what it takes to run a successful vacation rental property management company. Providing quality homes, cleaned by quality employees, and providing helpful customer and guest services is what sets Ptarmigan Village apart. Whether you are renting with us or putting your rental in our hands as an owner, be assured you're working with the best. Listed below are documents related to renting your property either through Ptarmigan Village, owner-directed or third party. The Rental Agreement has specific fees and requirements for any of these types of represenations. Please read it carefully and call the office Property Manager with questions. Ptarmigan Village condominiums is nestled on 52 acres of beautiful Montana forest only 2 miles below Whitefish Mountain Resort on Big Mountain. We offer the perfect Montana getaway for vacation rentals, retreats and reunions. On-site amenities include walking trails, indoor pool with hot tub and sauna, outdoor pool with sauna, tennis courts, fishing pond, playground and a nearby private Whitefish Lake beach area. Close in proximity is Glacier National Park, fabulous Flathead Lake and 9 challenging golf courses. 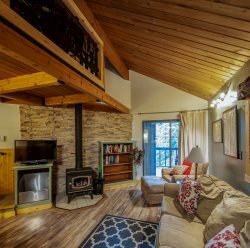 With unlimited recreational opportunities like skiing, cross country skiing, ice skating, snow-shoeing, snowmobiling, biking, hiking, swimming, horse-back riding, rafting, water-skiing and kayaking nearby, Ptarmigan Village is an ideal home base away from home for guests.